The best eating out establishment, sponsored by Bottlegreen, is always hotly contested in the Taste of Gloucestershire. 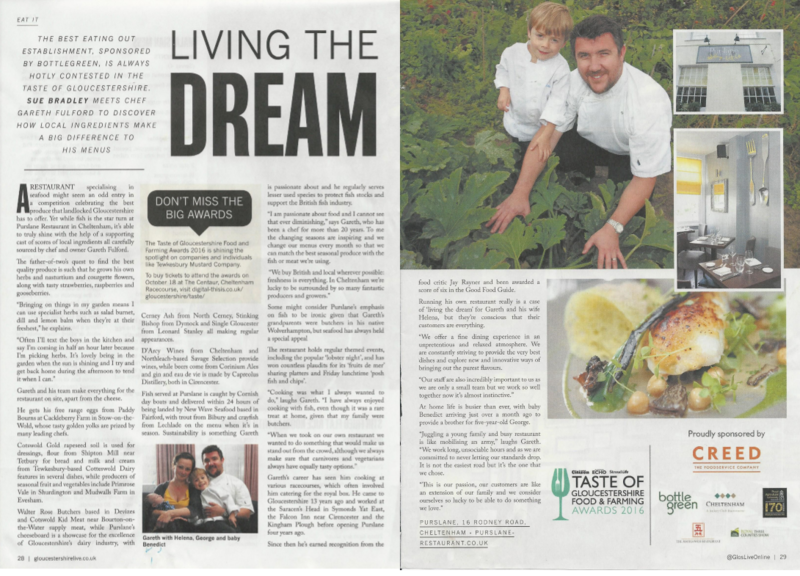 Sue Bradley meets chef Gareth Fulford to discover how local ingredients make a big difference to his menus. A restaurant specialising in seafood might seem an odd entry in a competition celebrating the best produce landlocked Gloucestershire has to offer. Yet while fish is the star turn at Purslane Restaurant in Cheltenham, it’s able to truly shine with the help of a supporting cast of scores of local ingredients all carefully sourced by chef and owner Gareth Fulford.